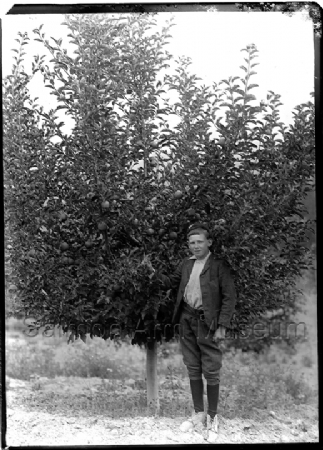 A boy poses next to an apple tree laden with fruit in an orchard. 1909-1914. 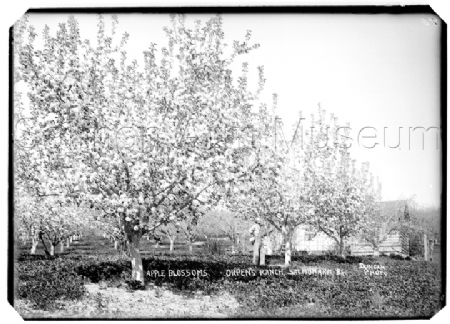 Apple blossoms at the Orpen Ranch. 1913-1915. A cherry tree in bloom. 1913-1915. 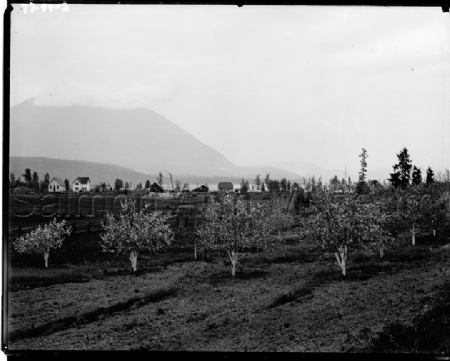 Fruit orchard with Copper Island in the background. Location unknown. 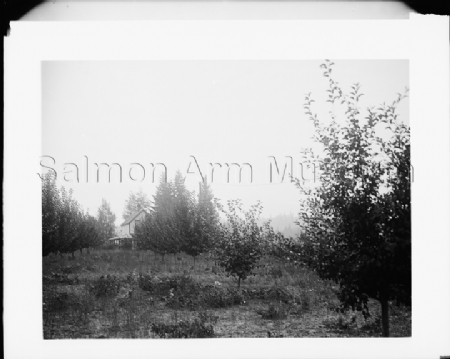 Unidentified house in an orchard. The negative shows an,orchard scene, with the,Presbyterian Church in the,background. 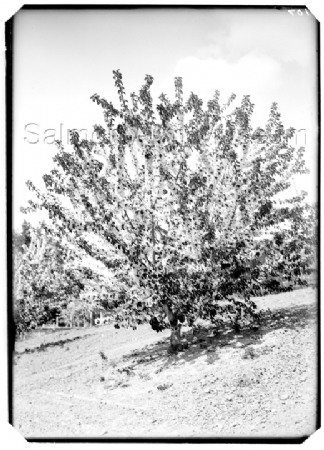 A view of an orchard. The Presbyterian Church is visible in the background; the manse is to the right of the church. 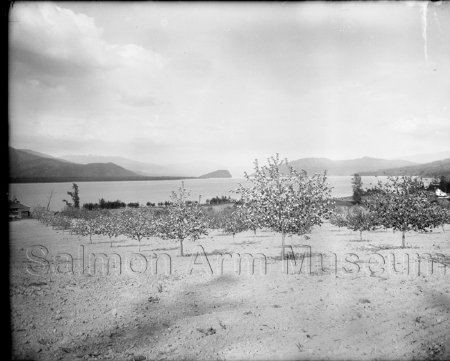 A view of Salmon Arm, McGuire Lake and orchards. 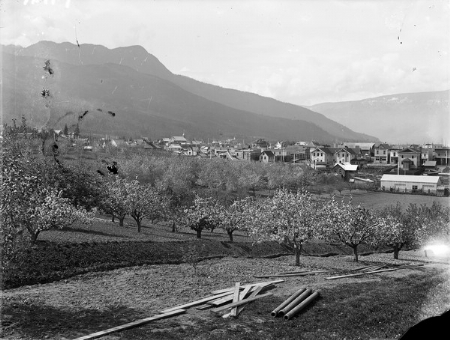 Town centre, the wharf and Fly Hills are all visible, as is Bob Turner's orchard. 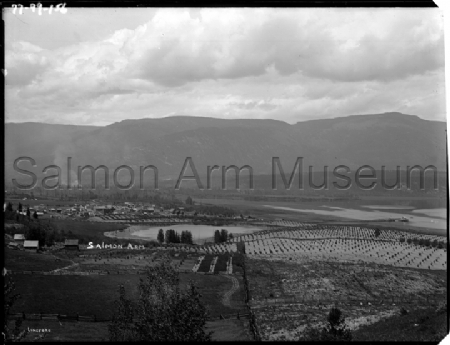 Looking South from the McGuire Orchard, Salmon Arm and the surrounding hills are visible. 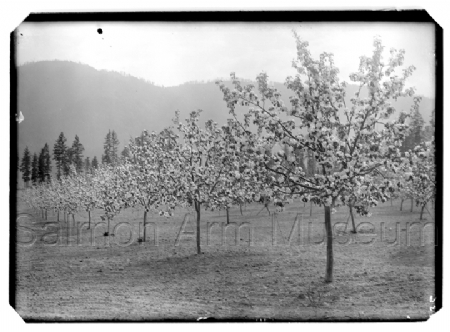 A view of a young orchard in bloom, Sorrento. 1913-1915.